海鬣蜥 - 科隆群岛 - 聖克魯茲島. 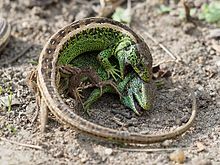 ^ THE REPTILE DATABASE. 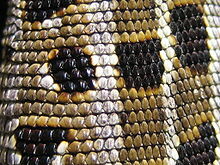 www.reptile-database.org. [2012-04-22]. ^ Muir, Hazel. Minute gecko matches smallest reptile record. New Scientist. 2001-12-03. ^ The world's top 10 reptiles – in pictures. The Guardian. 2016-05-05. ^ 4.00 4.01 4.02 4.03 4.04 4.05 4.06 4.07 4.08 4.09 4.10 4.11 4.12 Bauer, A. M.; Kluge, A. G.; Schuett, G. Lizards. (编) Halliday, T.; Adler, K. The Firefly Encyclopedia of Reptiles and Amphibians. Firefly Books. 2002: 139–169. ISBN 1-55297-613-0. ^ Starr, C.; Taggart, R.; Evers, C. Biology: The Unity and Diversity of Life. Cengage Learning. 2012: 429. ISBN 978-1111425692. 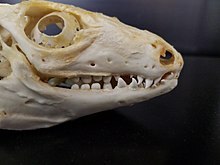 ^ Irschick, D. J.; Jayne, B. C. Comparative three-dimensional kinematics of the hindlimb for high-speed bipedal and quadrupedal locomotion of lizards. Journal of Experimental Biology: 1047–1065. 1999-05-01 [2018-01-14] （英语）. ^ Piper, Ross（英语：Ross Piper） (2007), Extraordinary Animals: An Encyclopedia of Curious and Unusual Animals, Greenwood Press（英语：Greenwood Press (publisher)）. ^ 11.0 11.1 Wilson, Steve. 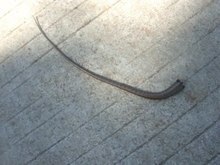 Australian Lizards: A Natural History. Csiro Publishing. 2012: 65–74. ISBN 978-0-643-10642-0. ^ Casey, Constance. Don't Call It a Monster. Slate. 2013-04-26. ^ Pianka and Vitt, pp. 108. ^ Best Lizard Facts: All You Need To Know – Cobras.org. Cobras.org. [2018-01-14]. ^ 17.0 17.1 Pianka and Vitt, pp. 115–116. ^ Pianka and Vitt, pp. 110–111. ^ Pianka and Vitt, pp. 117–118. ^ 20.0 20.1 Pianka and Vitt, pp. 119. ^ Morales, Alex. Komodo Dragons, World's Largest Lizards, Have Virgin Births. 彭博電視. 2006-12-20 [2008-03-28]. ^ Life Expectancy of Reptiles - PetPlace. PetPlace. 2014-12-10 [2018-01-15]. ^ 23.0 23.1 23.2 Pianka and Vitt, pp. 86. ^ Pianka and Vitt, pp. 32–37. ^ 25.0 25.1 Pianka and Vitt, pp. 94–106. ^ Lanham, E. J.; Bull. M. C. Enhanced vigilance in groups in Egernia stokesii, a lizard with stable social aggregations. Journal of Zoology. 2004, 263 (1): 95–99. doi:10.1017/S0952836904004923. ^ Leal, M; Rodríguez-robles, JA. Signalling displays during predator-prey interactions in a Puerto Rican anole, Anolis cristatellus. Animal behaviour. 1997-11, 54 (5): 1147–54 [2018-01-15]. ISSN 0003-3472. PMID 9398368. ^ 28.0 28.1 28.2 28.3 Pianka and Vitt, pp. 87–94. ^ 29.0 29.1 Langley, L. Are Lizards as Silent as They Seem?. news.nationalgeographic.com. 24 October 2015 [9 July 2017]. ^ Ligon, Russell A.; McGraw, Kevin J. Chameleons communicate with complex colour changes during contests: different body regions convey different information. Biology Letters. 2013, 9 (6): 20130892. PMC 3871380. PMID 24335271. doi:10.1098/rsbl.2013.0892. ^ Ligon, Russell A. Defeated chameleons darken dynamically during dyadic disputes to decrease danger from dominants. Behavioral Ecology and Sociobiology. 2014, 68 (6): 1007–1017. doi:10.1007/s00265-014-1713-z. ^ Frankenberg, E.; Werner, Y. L. Vocal communication in the Reptilia–facts and questions (PDF) 41. Acta Zoologica: 45–62. 1992. ^ Barnett, K. E.; Cocroft, R. B.; Fleishman, L. J. Possible communication by substrate vibration in a chameleon (PDF). Copeia. 1999, 1: 225–228. ^ 34.0 34.1 34.2 34.3 34.4 34.5 Pianka and Vitt, pp. 41–51. ^ Pianka and Vitt, pp. 53–55. ^ Pianka and Vitt, pp. 162. ^ Marshall, Kate; Philpot, Kate E.; Stevens, Martin. Microhabitat choice in island lizards enhances camouflage against avian predators. Nature Scientific Reports. 2016-01-25, 6: 19815. doi:10.1038/srep19815. ^ Yong, Ed. 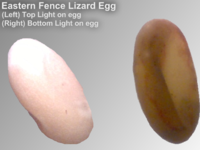 Lizard 'Sees' With Its Skin For Automatic Camouflage. National Geographic. 2014-07-16. ^ Stuart-Fox, Devi; Moussalli, Adnan; Whiting, Martin J. Predator-specific camouflage in chameleons. Biology Letters. 2008-08-23, 4 (4). doi:10.1098/rsbl.2008.0173. ^ Sherbrooke, WC. Introduction to horned lizards of North America. University of California Press. 2003: 117–118. ISBN 978-0-520-22825-2. ^ Cooper, William E., Jr. Initiation of Escape Behavior by the Texas Horned Lizard (Phrynosoma cornutum). Herpetologica. 2010, 66 (1): 23–30. doi:10.1655/08-075.1. ^ From Planet Earth II, a baby iguana is chased by snakes. BBC. 2016-11-15. ^ Hewitt, Sarah. If it has to, a horned lizard can shoot blood from its eyes. BBC. 2015-11-05. Behler, John L.; King, F. Wayne. The Audubon Society Field Guide to Reptiles and Amphibians of North America. New York: Alfred A. Knopf. 1979: 581. ISBN 0-394-50824-6. Capula, Massimo; Behler, John L. Simon & Schuster's Guide to Reptiles and Amphibians of the World. New York: Simon & Schuster. 1989. ISBN 0-671-69098-1. Cogger, Harold; Zweifel, Richard. Reptiles & Amphibians. Sydney: Weldon Owen. 1992. ISBN 0-8317-2786-1. Conant, Roger; Collins, Joseph. A Field Guide to Reptiles and Amphibians Eastern/Central North America. Boston, Massachusetts: Houghton Mifflin Company. 1991. ISBN 0-395-58389-6. Ditmars, Raymond L. Reptiles of the World: The Crocodilians, Lizards, Snakes, Turtles and Tortoises of the Eastern and Western Hemispheres. New York: Macmillan. 1933: 321. Freiberg, Marcos; Walls, Jerry. The World of Venomous Animals. New Jersey: TFH Publications. 1984. ISBN 0-87666-567-9. Gibbons, J. Whitfield. Their Blood Runs Cold: Adventures With Reptiles and Amphibians. Alabama: University of Alabama Press. 1983: 164. ISBN 978-0-8173-0135-4. Greenberg, Daniel A. Lizards. Marshall Cavendish. 2004. ISBN 9780761415800. Rosenfeld, Arthur. Exotic Pets. New York: Simon & Schuster. 1987: 293. ISBN 0671636901.